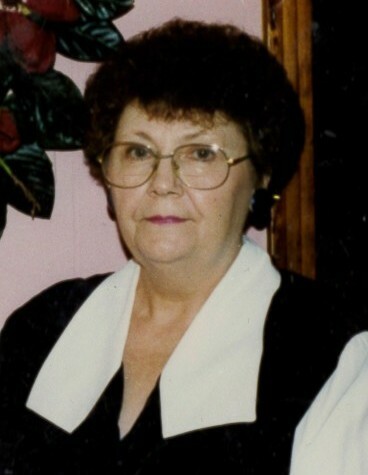 Audrey Faye Holland Bomar, known to many as “Granny”, age 78, resident of Mason, Tennessee and wife of Fred M. “Bub” Bomar, departed this life Thursday afternoon, September 6, 2018 at her residence. Services of Remembrance for Mrs. Bomar were held at 2 P.M. Sunday, September 9, 2018 at the Peebles Main Funeral Chapel in Somerville with Bro. Mark Vigus, pastor of the True Word Baptist Church in Arlington, officiating. Interment followed in the Somerville City Cemetery. Arrangements were provided by Peebles Fayette County Funeral Homes & Cremation Center - Main Chapel of Somerville. Mrs. Bomar was born June 6, 1940 in Haleyville, Alabama. She received her education in the Fayette County Public School System and was married October 10, 1959 to Fred “Bub” Bomar. She was a resident of the Mason and Longtown communities since 1959 and was a member of True Word Baptist Church in Arlington. Mrs. Bomar was a homemaker throughout her life and enjoyed cooking, designing flowers, special times with her family and taking care of her family. Mrs. Bomar is survived by her husband of 58 years, Fred M. “Bub” Bomar of Mason, TN; her daughter, Charlotte Price (George Jr.) of Somerville, TN; three sons, Gary Bomar of Mason, TN, Randall Bomar (Wanda) of Munford, TN, Tim Bomar (Miranda) of Mason, TN; and seven grandchildren, Chris Price, Ben Price, Amanda Bomar, Logan Bomar, Dylan Bomar, Hunter Bomar and Audra Bomar. She was preceded in death by her parents, Homer Holland and Odis Fell Holland and two sisters, Shirley Morris and Ruth McQueen. Those honored to serve as pallbearers were Chris Price, Ben Price, Logan Bomar, Dylan Bomar, Hunter Bomar and Amanda Bomar. Honorary pallbearers were John McKenzie, Joe Morris, Ernie Burkeen and Allen Morris. The family requests that memorials be directed to the Alzheimer's Association, 699 Oakleaf Office Lane, Suite 105, Memphis, TN 38117.